By working together, a regional organization acquired and vetted current data on the as-built environment that would otherwise have been too costly. A recent data sharing endeavor by the Denver Regional Council of Governments (DRCOG) capitalized on the organization’s reputation for working together and provided benefits for member governments, partners, community members, and entrepreneurs. DRCOG brings together more than 50 jurisdictions to address challenges that would be difficult or impossible to solve at the local government level. Through collaboration, the organization establishes guidelines, sets policy, and allocates funding in the areas of transportation, growth and development, and aging and disability resources. One of the many services that DRCOG provides is the facilitation of regional geospatial data projects on behalf of local governments and public entities that could otherwise not undertake these projects on their own. DRCOG, through its aerial photography program, the Denver Regional Aerial Photography Project (DRAPP), has more than a decade of leading regional collaboration to make data projects happen. Known collectively as planimetric data, it consists of building outlines, sidewalks, parking lots, and pavement information drawn through the interpretation of aerial imagery. Planimetric data has historically been cost prohibitive for most of the region’s jurisdictions—which include 47 cities and towns—to acquire and maintain, so most planners and GIS staff use outdated information or nothing at all. In 2015, DRCOG embarked on an unprecedented and ambitious project to acquire detailed infrastructure information for the nine-county region. In partnership with 21 cities, towns, and other public entities in Colorado, DRCOG acquired imagery data covering an area of approximately 1,300 square miles. In addition to contributing funding, partners cut project costs by performing quality assurance/quality control (QA/QC) instead of paying for an independent quality control vendor. 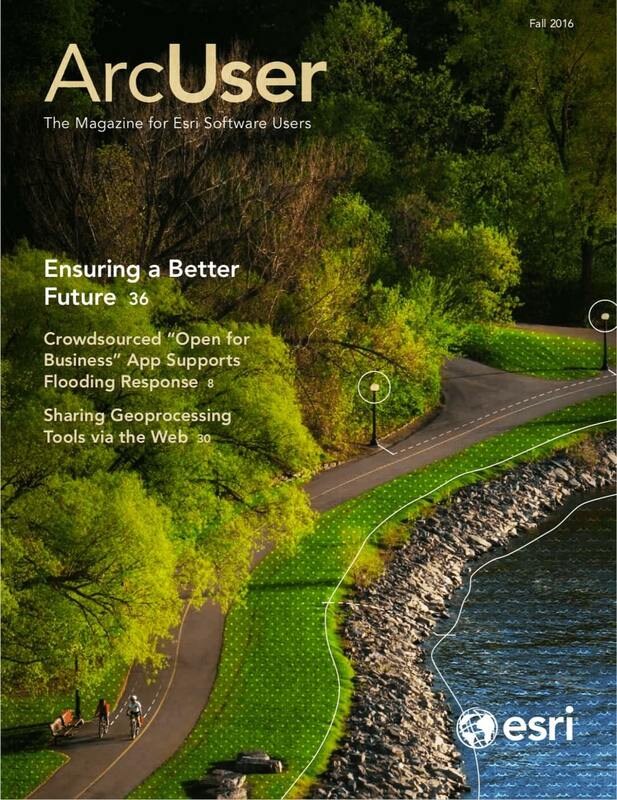 DRCOG used ArcGIS for Server to build a collaborative web map so that edits could be compiled and passed on to the imagery vendor, Kucera International, Inc., to be fixed. Project requirements included developing a password-protected application that could be used to capture edits from project partners. The IdentityManager module from the API was used so users could access secured services. A small but significant customization to manipulate the predefined text in the sign-in dialog improved the application design. The Editor widget was used to capture the user comments. During the implementation of the widget code on an accordion pane, it was discovered that the pane that contains the Editor widget must be active for the widget to work properly. During development, a bug in the widget was found and logged. Rendering the data as feature layers provided quick drawing performance while allowing users to review layer attribution and toggle layers on and off. The data needed to be checked against the imagery from which it had been extracted, so DRCOG’s most recent aerial photography was added as an image service layer. Project partners were asked to review the quality, consistency, and accuracy of the data. The 21 partners recorded more than 4,000 edits using the QAQC map. DRCOG then evaluated and curated these edits before sending them to the vendor to be addressed. The collaborative web map allowed DRCOG and its partners to quickly and easily leverage local knowledge to create a better data deliverable—all while saving money that otherwise would have been spent to have a vendor perform these tasks. Now that the project is complete, the data is being used for the development of emergency response plans, pedestrian-routing and sidewalk quality studies, building inventories, and impervious surface analysis. The data has also been shared in the public domain, inviting innovators and entrepreneurs to tap the resource. The data is already being used by several new startups. They are creating mobile apps to aid the visually impaired, provide business intelligence for local restaurants, and help locate those potential oil and gas sites that will have the least impact on the community. Other emerging uses include 3D modeling, urban development scenario planning, and special district mapping. For more information, contact Ashley Summers at 303-480-6746, Jenny Todd at 303-480-6754, or Josh Pendleton at 303-480-6784. To download the data, visit DRCOG’s Regional Data Catalog at gis.drcog.org/datacatalog/. Follow DRCOG on Twitter. Project participants included City of Arvada, City of Aurora, Town of Bennett, Town of Castle Rock, City of Centennial, City of Commerce City, City and County of Denver, Denver Water, City of Englewood, Town of Frederick, City of Glendale, City of Golden, City of Greenwood Village, City of Lafayette, City of Lakewood, City of Lone Tree, City of Louisville, City of Northglenn, Regional Transportation District, City of Thornton, City of Wheat Ridge. Ashley Summers is the information systems manager at the Denver Regional Council of Governments. 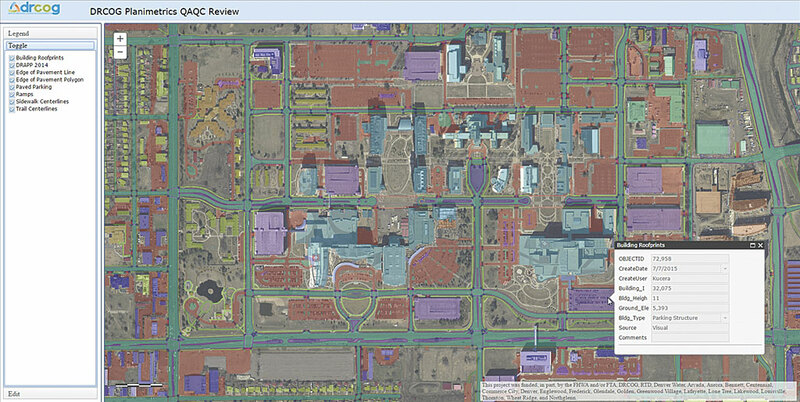 Jenny Todd is the senior GIS specialist at the Denver Regional Council of Governments. Josh Pendleton is a GIS specialist at the Denver Regional Council of Governments.